This is a great family situation comedy based on the Dennis The Menace comic strip from Hank Ketcham. The best comedy in the show came when Dennis and Mr. Wilson were in a conflict together. John Wilson, Mr. Wilson's brother - Gale Gordon - Joseph Kearns (the original Mr. Wilson) passed on before the filming was completed for the 1961-62 season. In May 1962, Gale joined the cast as John Wilson, Mr. Wilson's brother. In the fall of 1962, John returned as if he had always been the sole Mr. Wilson, but his wife's name was Eloise. Mr. Quigley - Willard Waterman - He was radio's "The Great Gildersleeve" replacing Harold Peary. Willard was in the 1955 TV version of "The Great Gildersleeve". A policeman is taking Mr. Wilson (Joseph Kearns) away and he yells for help for Dennis' dad and mom, then looks at the camera and emphasizes Dennis' name. Vintage television at its best. 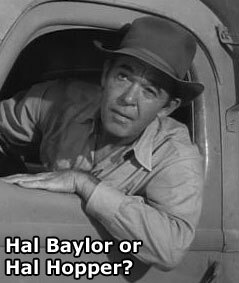 Hal Baylor is credited as the driver but he sure does look a lot like Hal Hopper who was in the 1965 movie Mudhoney. 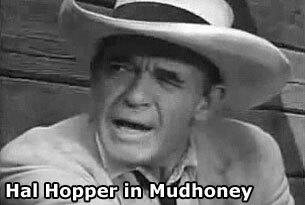 According to imdb, Hopper is the father of Jay North.